We understand latest terms and trends required in the development of the best medical tourism website design & healthcare website design. 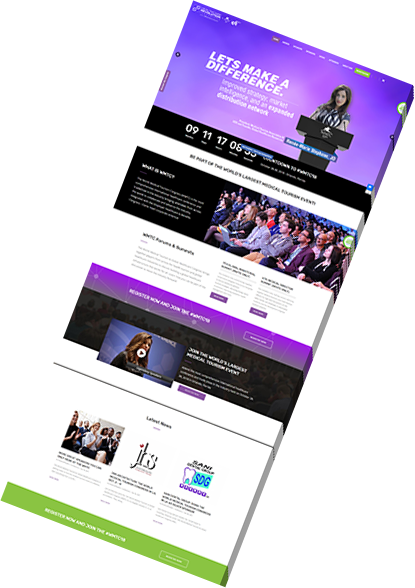 Whether you are looking to start your new medical tourism and healthcare business or you want to boost and manage your running websites, Ewebcraft is the best creative healthcare and medical website design company which will help you to take your business to the next level of advanced digital world. The best and most experienced British trained Senior Neurosurgeon. 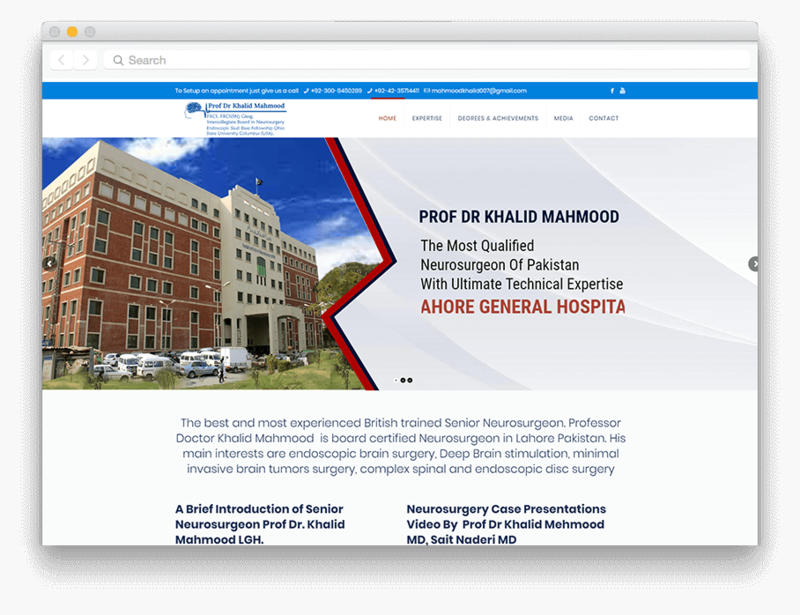 Professor Doctor Khalid Mahmood is board certified Neurosurgeon in Lahore Pakistan. His main interests are endoscopic brain surgery, Deep Brain stimulation, minimal invasive brain tumors surgery, complex spinal and endoscopic disc surgery. 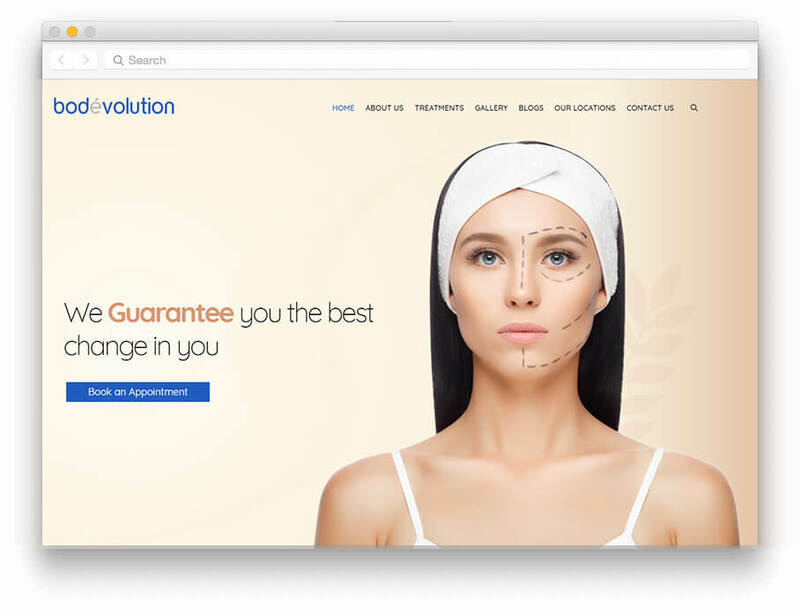 Bodevolution is a Multinational Brand, specializing in a range of (non-surgical / non-invasive) Aesthetic Body Treatments. Bodevolution treatments and technologies are innovative and up-to-date in the aesthetics market. These include Laser Skin Treatments, Fat Reduction, Laser Hair Removal, Breast/Buttock Shaping, Plasma Therapy, Femi Tightening, Face Lift/Rejuvenation and Skin Care Treatments. 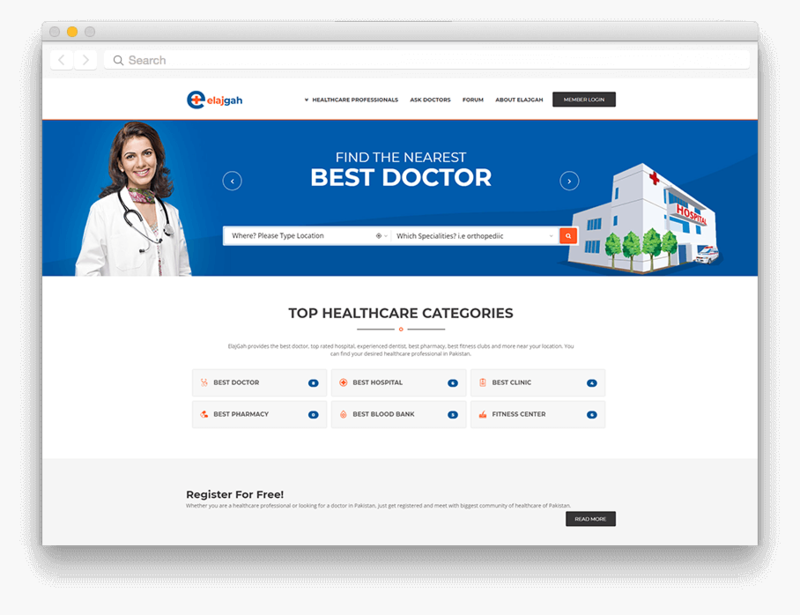 ElajGah is a dependable resource of discovery the best doctors, pharmacies close to you, top-rated hospitals and local fitness centers without any additional efforts. 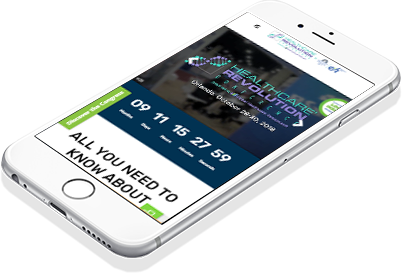 ElajGah is an excellent digital marketing platform that brings together professionals and doctors from all across Pakistan at one forum. You will get immediate responses from us, which is extremely helpful. 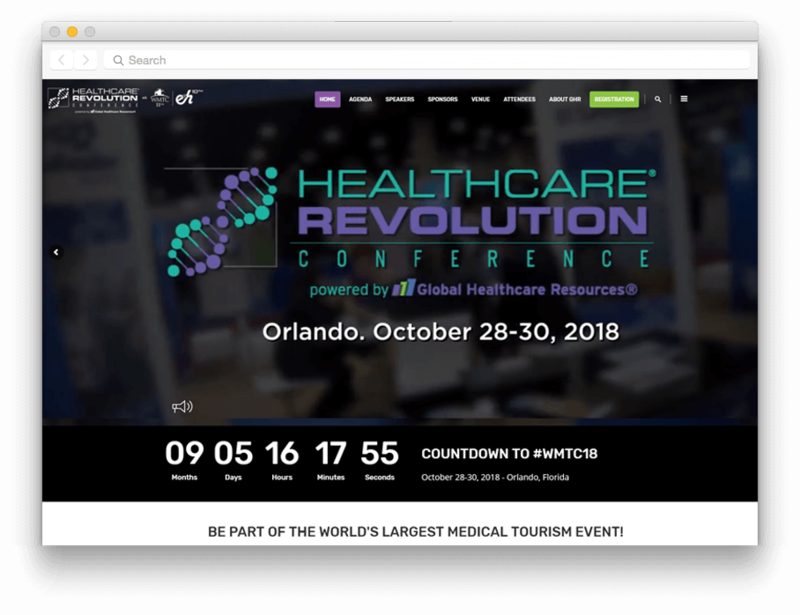 Global Healthcare Resources® (GHR) is a solutions firm of international experts providing consulting to organizations and government bodies seeking strategy, development and market penetration services for healthcare, wellness, well-being, medical and wellness travel, employee benefits, insurance, precision medicine and genomics. The Employer Healthcare & Benefits Congress (EHBC) brings together attendees from across the world to discuss the latest developments in employee benefits industry, from corporate health & well-being programs and the latest in healthcare reform, to trends in voluntary benefits and self-funded insurance, the EHBC has the information you need. 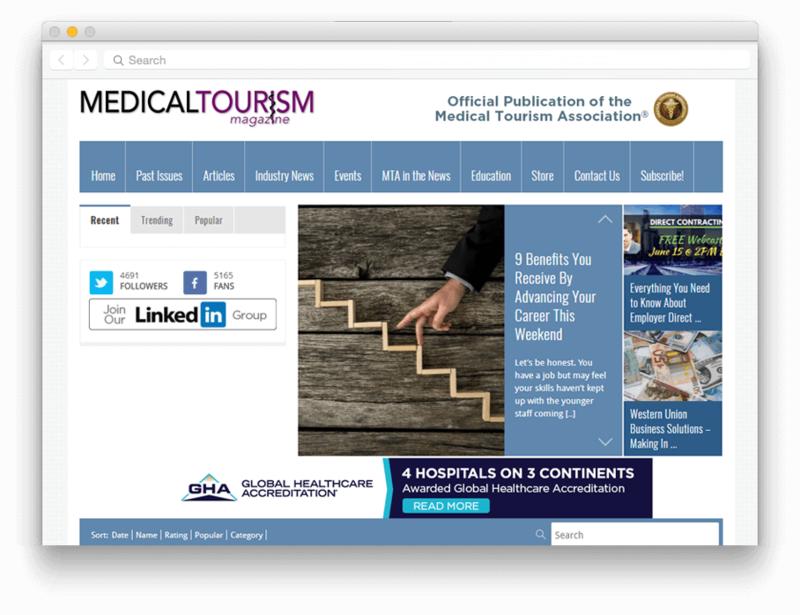 The Medical Tourism Magazine, known as the “voice” of the medical tourism industry, provides MTA members and key industry experts with the opportunity to share important developments, initiatives, themes, topics and trends that make the medical tourism industry the booming market it is today. 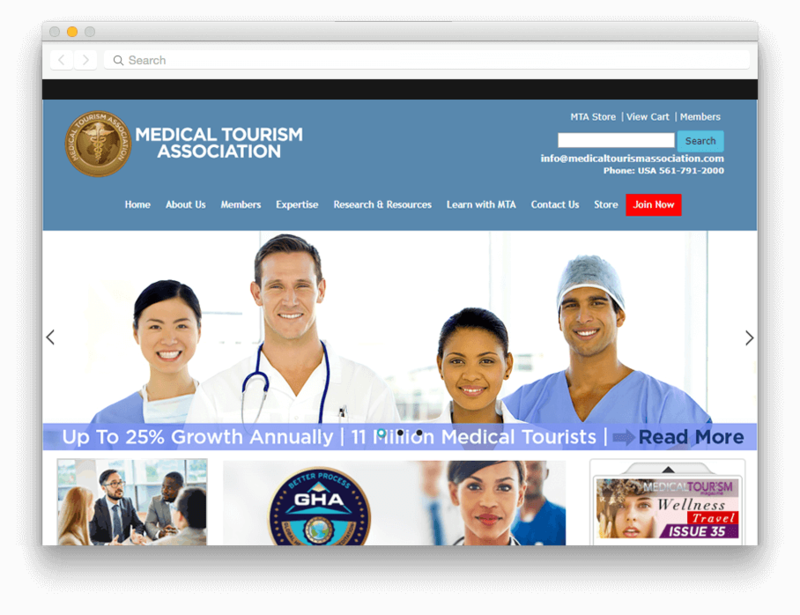 The Medical Tourism Association® is a Global Non-profit association for the Medical Tourism and International Patient Industry. The MTA works with healthcare providers, governments, insurance companies, employers and other buyers of healthcare. 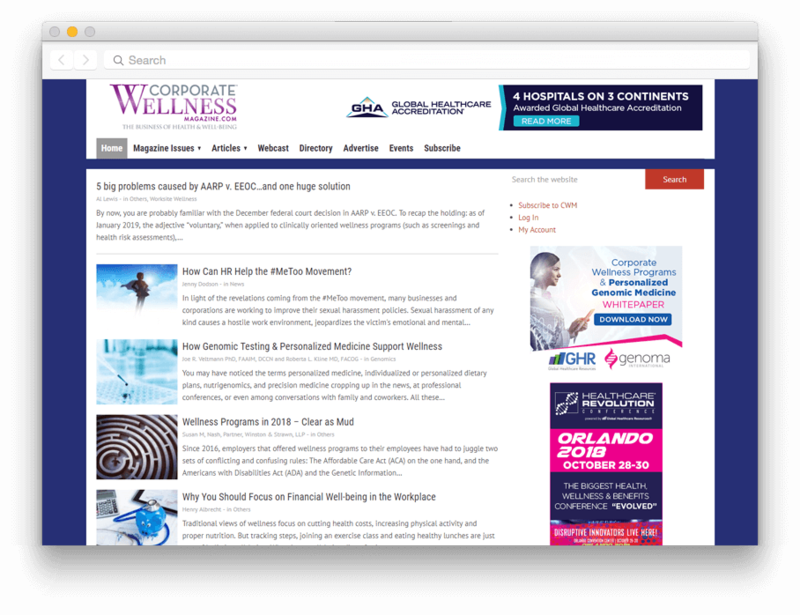 Corporate Wellness Magazine was created as the main source of information for employer, consultants, human resource professionals, health insurance agents, insurance companies, healthcare providers, governmental entities and other industry stakeholders. Our goal is to provide a central point of education and collaboration for wellness professionals who strive to make America’s workforce healthier. 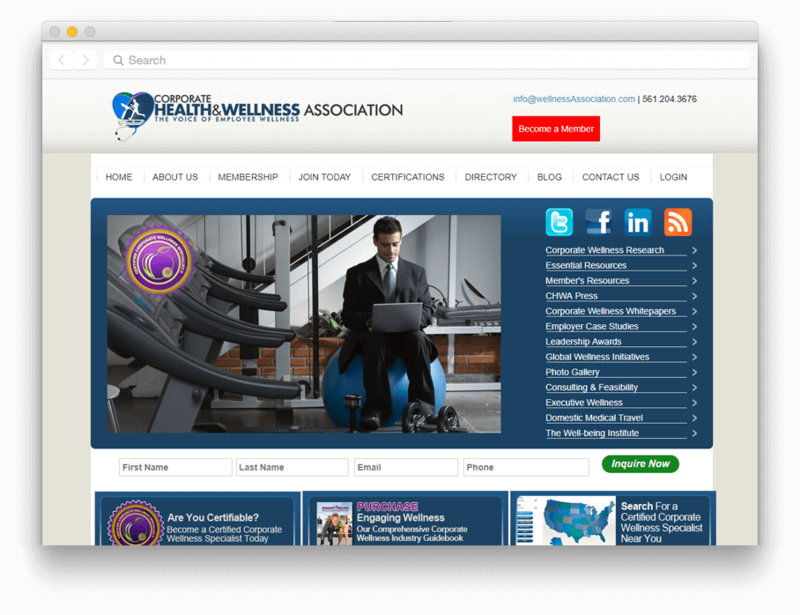 The Corporate Health and Wellness Association (CHWA), also known as the Health and Wellness Association or the Corporate Wellness Association, is the national non-profit association focused on health, wellness, disease prevention and management for employers, employees and their families. 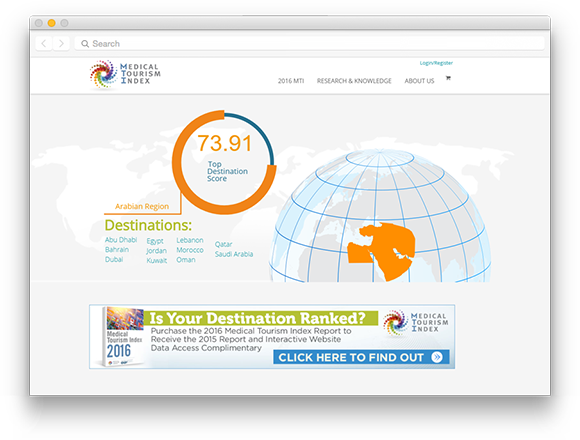 The International Healthcare Research Center (IHRC) promotes and provides transparency and improves global healthcare quality, population health management, expanded access to care, and the consumer healthcare experience.